In light of recent events, the matter of cladding installation is now more important than ever. Cladding was one of the main causes of the fire in Grenfell Tower – both the cladding and insulation failed the preliminary test, resulting in an insulation that was very flammable. Such situations bring attention to the matter of safety of the rest of both residential and public buildings. Claddings like the one used in Grenfell Tower were once installed on schools, offices, hospitals, office buildings, etc. So, if you are in charge of such a building and are not sure about the material the cladding is made of and, above all, what kind of insulation was used while installing it, take action and have your cladding checked. What do you need to know when choosing cladding? Additionally, keep in mind that, according to the Department for Communities and Local Government (DCLG), composite aluminium panels with a polyethylene core should not be used as cladding on buildings taller than 18m. So, the most important thing is to make sure that the cladding you want to use is safe, fire-resistant above all. It is not worth saving £1 on a square meter if people’s lives and possessions are at stake. Besides, it is better to do it properly the first time in order to cut cost in the future and not lose any sleep over it. It’s a good idea to have it checked in several places to make sure it meets all the strict standards and that you can use it. If you have questions or concerns, you can always call authorities and ask for help. Once you know you must perform a removal and get a new installation done, let us help you out. We are experts in the field of working with ropes to get the job done. 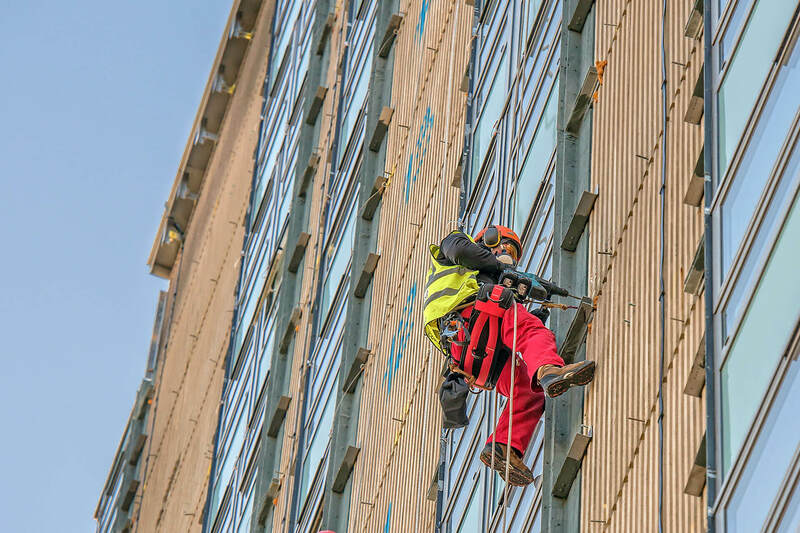 With high-altitude work equipment and a professional staff’s cladding removal and installation takes significantly less time than you could expect. R.A.I.L are some of the most reliable cladding installers in London. We will answer every question and address any doubts. There are no bad questions when it comes to safety. So, if you are in charge of a building with uncertain cladding, do not hesitate to take action and make efforts to ensure the safety of its residents. Cladding removal is not an expensive step, and it can upgrade your building to new, safer standards.